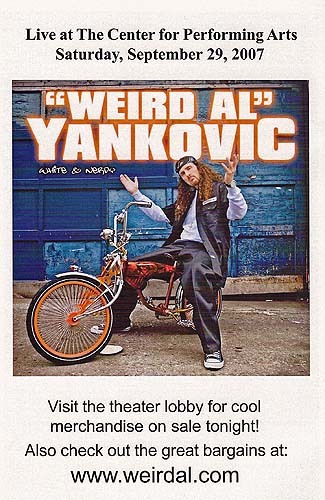 Two print ads for Al's September 29, 2007 concert in University Park, IL. The venue and/or its marketing team deserves some slight kudos on the second ad for utilizing something other than the overused "white hat gangsta Al" image that became the default promo pic on this tour. 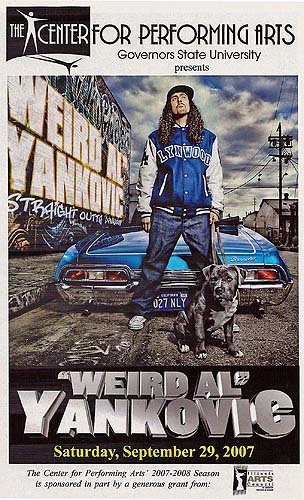 And yeah, Weirdal.com does offer some great bargains...um, huh? ?